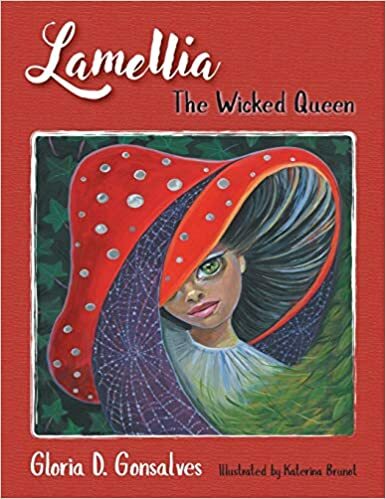 Lamellia: The Wicked Queen takes place in a magical mushroom kingdom where a baby appears and causes suspicions to rise. What was the inspiration behind this books story line? Lamellia: The Wicked Queen is a story continuation that was begun in Lamellia: The Kingdom of Mushrooms. Sometime in May 2012, I saw a big and ugly brown mushroom during a forest walk. Thereafter, I began paying attention to mushrooms. One day, I had an idea to write a story involving mushrooms. In August 2015 while visiting Austria, I photographed a lot of mushrooms as well as visited a mushrooms museum for further character inspiration. The inkling to include a human baby in the story was inspired by the movie Avatar. Nobilia is an interesting character. What were some driving ideals behind her character arc? After publishing the first book, I was mostly in disbelief for having written a story involving mushrooms taking care of a human baby. A sequel story wasn’t in my mind because I doubted myself with the absurdity of the story which I have shared with the public. 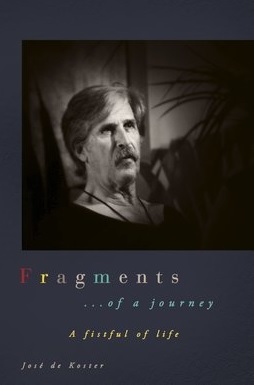 The idea for a follow-up-story was instigated by a potential reviewer of the first book. She declined to write a review as it would be totally negative. Instead, she took time to write a long feedback and potential ideas for a sequel. She had some ideas all involving a conniving queen. I took the backbone of her suggestions–an evil queen–and created Nobilia. The art in this book is beautiful. What was the art collaboration like with Katerina Brunot? Katerina Brunot was a contact through an online magazine acquaintance. We spent ten months communicating back and forth, her based in the USA and myself in Germany. It was pleasant working with her. At one point, she was unable to continue due to sickness. She offered to involve someone else and have a combination of illustrations from herself and another illustrator of my choice. I declined and agreed to wait until she recovered. I will not hesitate to work with her in the future. Learning the importance of showing kindness, following the rules and understanding consequences. Enthused to go outdoors and learn from nature. All inhabitants of this world (living and non‐living) deserve to be respected and loved. If we care to listen, nature selflessly gifts us all the time with artistic inspirations such as stories and poems. When King Polipoli, the ruler of Lamellia, finds a human baby in his mushroom kingdom, he adopts it immediately to satisfy his wifes desire to be a mother. What is the queen doing to the baby? How did the baby get there? Will it survive and fulfil its purpose before it’s too late? Posted on March 24, 2019, in Interviews and tagged alibris, art, Austria, author, author life, authors, avatar, barnes and noble, book, book club, book geek, book lover, bookaholic, bookbaby, bookblogger, bookbub, bookhaul, bookhub, bookish, bookreads, books of instagram, booksbooksbooks, bookshelf, bookstagram, bookstagramer, bookwitty, bookworks, bookworm, children, ebook, family, fantasy, fiction, gloria gonsalves, goodreads, illustration, ilovebooks, indiebooks, Jai the Albino Cow, kids, kindle, kobo, literature, magic, mushroom, nook, novel, parents, picture book, publishing, read, reader, reading, shelfari, smashwords, story, swahili, teacher, writer, writer community, writing. Bookmark the permalink. Leave a comment.